Words have meaning, and I suspect we choose them because of that meaning—or sometimes lack thereof. Here’s an example: Recently I have become convinced that the word “Lord” is almost meaningless to most Americans. To people in the world, it is synonymous with “God”. So, when they hear the word, they simply substitute whatever picture they have in their mind for God and assume that is what is being said. Unfortunately, for many in the church, the meaning of the word isn’t much clearer. For example, I am struck at how many times recently someone has told me “Jesus is my Lord”–at the same time they are intentionally practicing a lifestyle Jesus explicitly condemned. I don’t know what they think “Lord” means, but they clearly don’t know the real definition. So, I have decided to use different words. Sometimes people don’t understand these words either—but at least they are strange enough to their ear that they stop and think. For example, I frequently find myself choosing not to use the word “Lord” (Of course it is a good Biblical word—it just isn’t understood). Instead, I speak of The King. Most of the time people just look at me like I’m crazy. But often they also ask “What do you mean?” Which gives me the chance to tell them—and emphasize who Jesus really is. The King of the Universe. This has led to a number of other conversations with both Christian and non-Christian alike, giving me the chance to share my faith and why it is so important that these words be understood. And why is it so important? You see another benefit of using these more accurate and understandable words is that I UNDERSTAND MORE as well. When I speak of my King, I realize and remember who he is. I don’t see a picture of Jesus, the blond haired, blue eyed Bo-Peep guy in the popular pictures. I see Majesty. I see Power. I see Justice and Love and Faithfulness. I see the One who is above all things and all people—and all circumstances I may encounter. I see MY KING. I mentally (and sometimes physically) bow down before him and enjoy being in his presence FULLY KNOWING WHO HE IS! And knowing this, I am able to handle life. I am able to keep my focus on the King. I don’t try to hide from him. I don’t fear him. I don’t dread what he might say or want me to do. I stand in awe of him and I’m literally thrilled to belong to him. I rely on him, reverence him—trust him—because he is the King—my King. I want nothing in life so much as to please him. I am convinced we need to choose and use words that not only communicate accurately to those we are speaking to—but also bring us back to the fundamental truths we tend to forget. And the most important of those relate to who God is. We have an unfortunate tendency to mentally define God “as we understand him” (which is about as close to idolatry as we can get). Instead, we need to let him define himself. When we do, we then relate to the REAL God, not the one we made up. He is the King. And I belong to him. If this is true, nothing else can matter except living faithfully to Him. 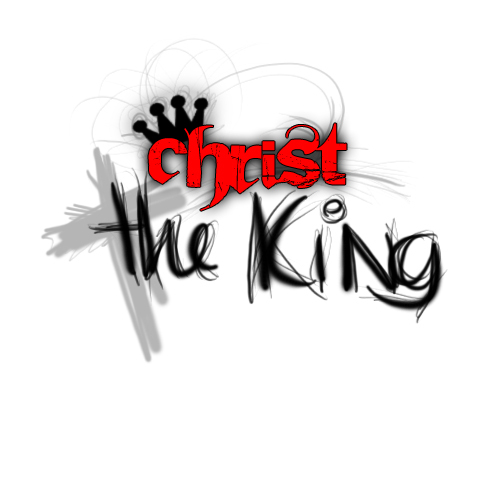 Know Jesus, the King! And be Faithful. Is your faith a private thing? What’s with Christians and Money? We need to serve–but not him! Don’t ask to be fed, feed yourself! Everyone can–and needs to–study the Bible. Prayer–it’s about the relationship, not the request. Can I help you take your next right step? Whether it's an invitation to speak at your church or a spiritual conversation over a cup of coffee, I would enjoy an opportunity to share Jesus with you.